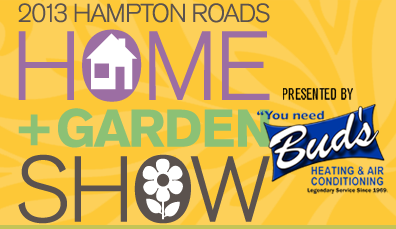 Join the Peninsula Housing and Builders Association for the Hampton Roads Home & Garden Show, an all-new event, featuring an exciting line-up of celebrities and home and garden experts,offering gardening activities that offer something for everyone in the family. The Home and Garden Show is on the Peninsula at the Hampton Roads Convention Center this weekend February 8-10. This is a new show, but it has some strong sponsorship, great scheduled guest celebrities and lots of fun activities for the kids. Meet one of the country’s most famous “pickers” as Mike Wolfe from The History Channel’s hit series American Pickers will be there Saturday afternoon to share his tales from the trails. An art historian and certified antiques appraiser, Dr. Lori, (Lori Verderame, Ph.D.) reveals insider tips about art, antiques, museums and yard-sale finds. Whether you’re a novice or a certified green thumb, you’re sure to pick up some new knowledge from a three-day line-up of horticulture experts assembled by garden writer and editor Kathy Van Mullekom of York County. Admission is $10 for adults, and free for children 12 and under. Active-duty and retired military and senior citizens (ages 62 or better) get a $2 discount. Parking is free.